price of healthy eating Healthy eating is the real chance to keep your body fit and beautiful for many years. By eating properly with your family, you are taking care of both your health and health of your family members. 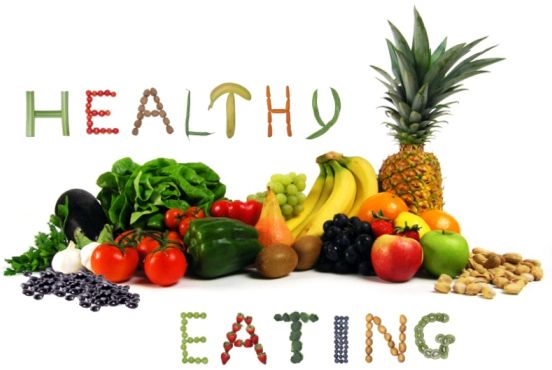 Nutritionists believe that healthy eating allows to live a long and happy life. Undernourished people or those who consume insufficient amount of vitamins, minerals and other microelements get sick very often and suffer from malnutrition. Not to mention the lack of macroelements as well. Healthy eating must contain a sufficient amount of proteins, good fats and carbohydrates. Balanced healthy eating is primarily based on the balance between consumed and expended energy. In other words, the main principle of healthy eating is that calories must be burned! Changing the balance of macronutrients (fats, for example), you can create diets to increase or reduce the body mass. Such diets suggest the level of physical activity of a person and his body mass index. For most people, the quantity of essential micronutrients does not depend much on the physical activity levels. To bodies of different people can function normally, they need approximately the same amount of vitamins and minerals. There is one exclusion though – professional athletes. Eat only when you start feeling hungry. Eat in a sitting, calm and relaxed position. Concentrate on your food, do not get distracted by TV. Divide your daily menu on 4-5 main meals. Do not drink water with or right away after the meal. Lunch must contain the main daily amount of food. Eat only natural and fresh cooked food. We no longer live in the days when the search and purchase of healthy foods force people to go to special stores. Nowadays, a healthy, eco-friendly food is a common thing in most supermarkets. The competition and annually growing demand are forcing supermarkets to sell different kinds of healthy foods at low prices. The healthy eating plan must involve both the number and quality of foods, as well as their prices. If you buy fresh products, without slicing or packaging, they will cost you much cheaper. We should not forget about comfort too; you can buy healthy foods for breakfast, lunch and dinner or foods supply for several days in most big supermarkets today. If you want to save on healthy eating, shop wholesale. To do this, you should make a weekly grocery list. When you enter the store, try to focus on the list and do not buy anything extra. Wholesale shopping helps to save money and time. If you want to experiment on healthy eating cost, you may use the cheapest products during 1-2 weeks. In various regions of the world, the prices depend on many factors and hence may differ. But some foods (like beans) are usually cheap. To cook a cheap and healthy breakfast, you can buy wholegrain bread, eggs, fat-free yogurt, canned tuna and fresh fruit. The recipe of healthy breakfast may offer you different cereals. Tasty and healthy porridges are perfect for giving your body the energy it needs for minimum money. The healthy eating at lunch may include baked potatoes, brown rice, fresh vegetables, canned beans, spaghetti and fresh juices. In the middle of the day, you need to eat meat high in proteins your body needs. Low fat meat provides the body with essential and nonessential amino acids. For dinner, the perfect solution would be foods that are digested quickly without overloading the gastrointestinal tract while you are sleeping. Healthy and cheap dinner may contain sour dairy products, seafood, steamed or boiled vegetables. You should better avoid high-calorie desserts before sleep. You can change your daily menu and add some other foods to it. Your choice of eco-pure foods must depend on your own purposes. If the chosen recipes of healthy eating do not cause the desired effect, just try some other diet. Choosing diets, you need to pay attention to what is good for your health in the first place. It should be noted that food consumption is not just a transportation of macro- and micro-elements that your body needs for normal function. Some foreign and harmful substances, accumulated in foods may enter your body along with meals. Ecologically pure foods contain no harmful chemicals (for instance, antibiotics and pesticides). The best products for healthy eating contain maximum amount of useful substances that are not usually synthesized in our body. Choosing the best healthy eating plan for men, women and children, we can minimize the risk of the most common and dangerous diseases – diabetes, atherosclerosis, disorders of the gastrointestinal tract, heart and liver. Besides, people, who got used to healthy eating, rarely overeat and stay more physically active than those who do not support this lifestyle. At a conservative estimate, over 20% of world population suffers from obesity. Unhealthy eating is one of the main causes of global epidemic of obesity. Overweight or obesity is often accompanied by several diseases that lead to premature aging. One of positive examples of positive consequences of healthy eating is maintenance or normalization of the body weight. Proper diet improves the metabolism and prevents the formation of new fat deposits. Healthy food strengthens the bones and muscles and makes your body shape more attractive. Even the cheapest foods for healthy eating can improve the work of all systems in the body, and first of all, the cardiovascular system. If you change your dietary habits, you will strengthen your immune system and speed up the excretion of toxins from the body. Healthy and balanced diet raises your quality of life to a higher level. Eat healthily, stay more active socially and physically and live longer. Protein gives us the energy to get up and go—and keep going—while also supporting mood and cognitive function. Too much protein can be harmful to people with kidney disease, but the latest research suggests that many of us need more high-quality protein, especially as we age. That doesn’t mean you have to eat more animal products—a variety of plant-based sources of protein each day can ensure your body gets all the essential protein it needs. Not all fat is the same. While bad fats can wreck your diet and increase your risk of certain diseases, good fats protect your brain and heart. In fact, healthy fats—such as omega-3s—are vital to your physical and emotional health. Understanding how to include more healthy fat in your diet can help improve your mood, boost your well-being, and even trim your waistline. Carbohydrates are one of your body’s main sources of energy. But most should come from complex, unrefined carbs (vegetables, whole grains, fruit) rather than sugars and refined carbs that have been stripped of all bran, fiber, and nutrients. Cutting back on white bread, pastries, starches, and sugar can prevent rapid spikes in blood sugar, fluctuations in mood and energy, and a build-up of fat, especially around your waistline. Eating foods high in dietary fiber (grains, fruit, vegetables, nuts, and beans) can help you stay regular and lower your risk for heart disease, stroke, and diabetes. It can also improve your skin and even help you to lose weight. Depending on your age and gender, nutrition experts recommend you eat at least 21 to 38 grams of fiber each day for optimal health. Unfortunately, most of us aren’t eating even half that amount. Your body uses calcium to build healthy bones and teeth, keep them strong as you age, send messages through the nervous system, and regulate the heart’s rhythm. As well as leading to osteoporosis, not getting enough calcium in your diet can also contribute to anxiety, depression, and sleep difficulties. Whatever your age or gender, it’s vital to include calcium-rich foods in your diet, limit those that deplete calcium, and get enough magnesium and vitamins D and K to help calcium do its job.